July 9, 2015 - by Sourabh Kumar - 5 Comments. Camera with flash,Memory Card Supported upto 32 GB,Android v4.4.2 and many more. A windows Pc/lappy with Internet connection. Make a complete backup with your stock Recovery before attempting all the process. Make everything ready and connect your device to your pc through data cable. 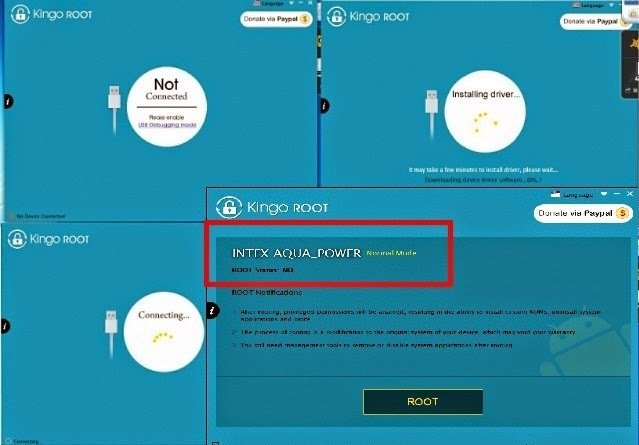 Download Kingo Root.exe and install it in your pc. Connect your Android Smart Phone and PC through USB Data Cable. Run Kingo root.exe from your desktop. First it will show “Not Connected“message but then It will automatically download and Install all required drivers and files so just wait. After Everything completed “ROOT” button will be visible on the windows just click on it. Allow USB DUBUGGING in your Smart Phone. Kingo Root App will be Installed and launched in your Smart Phone automatically. 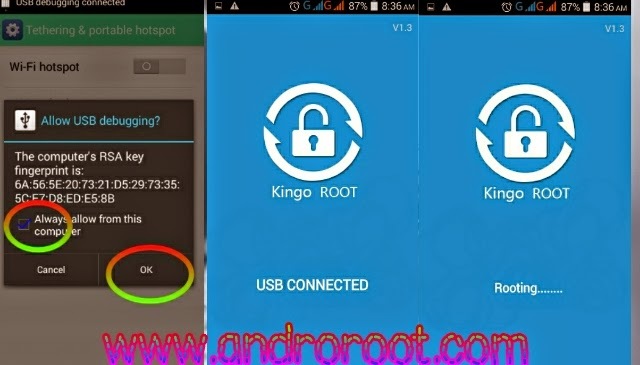 Now in your PC Kingo root tool will download some required files and scripts and it will take some time(7-10 minutes) to root your device so just wait and watch. 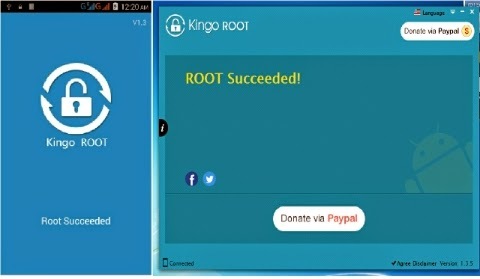 After everything complete a new windows will be opened with the message of “Root succeed” in your PC and also in Kingo Root App. Now in your Android Smart Phone a new app”Kingo user” is installed.Now open it if a message appears that Su binary is outdated then we have to flash the .zip file so first make and install TWRP Recovery with following procedure and then update the su binary which is described below. Intex aqua HD 5.0 Rooted(with above steps). A windows pc/lappy with USB VCOM driver installed. Download TWRP Recovery maker from above link. Extract it on desktop with WINRAR. after complete close it. and then it will be opened in a white window. resulation and mtk chipset version.Follow the instructions on screen. Now on your android device you’ll see SuperSU and ADB shell pop-ups asking for permission. Allow them. At the end a windows will show you the message Rebooting to recovery. It will then boot your device into TWRP Recovery automatically. Enjoy the New TWRP recovery (above picture). Download and install SuperSU.apk then OPEN IT. it will show you a message that The SU binary needs To be Updated, Continue? click on “Continue” and then click on” Normal” on the next windows . Some time will be taken to Update the SU binary so just wait. Now reboot Your Android Smart Phone. Confirm the Root Access with Root checker or any other app and enjoy. 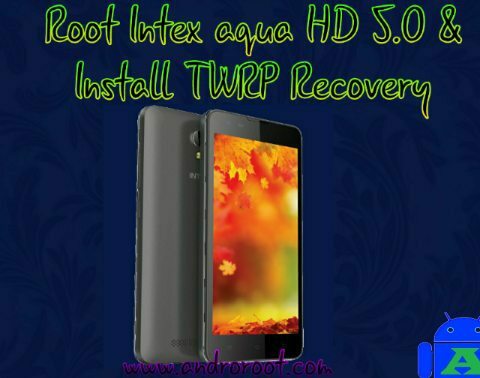 Congratulation you have successfully rooted Your Intex aqua HD 5.0 with Kingo Root and installed the TWRP recovery.Make a backup of your complete system.